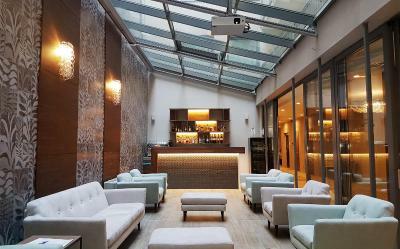 Lock in a great price for Boutique Hotel Budapest – rated 8.2 by recent guests! 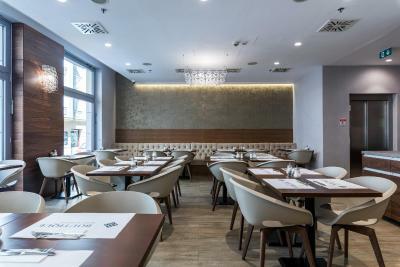 The location is really great, and breakfast is a big plus! (Lots of food options) This hotel is very nice! Great location, smiley staff who is always ready to help you :)) I can also say that breakfast was delicious. Next time I'll be your guest again! 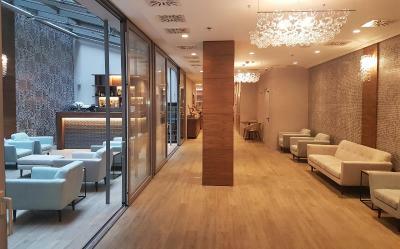 Very nice staff, free breakfast everyday and a nice lounge/bar. Staff cleans room and replaces towels everyday. Good value hotel. 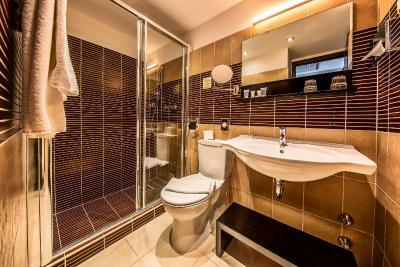 Fairly typical (small) European room/bathroom. 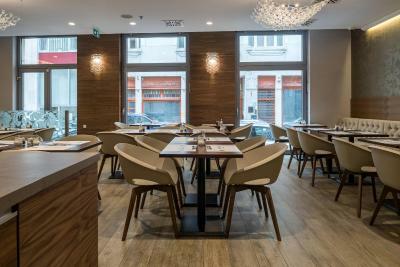 Good location near the Great Market Hall and just across the bridge from Hotel Gellert. Breakfast was great and staff was friendly and always available to answer questions and call taxis. Check in/check out was a breeze. 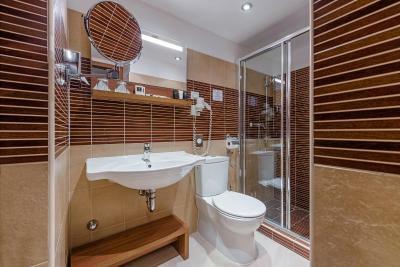 Location is very good, just a few steps from Vaci street. 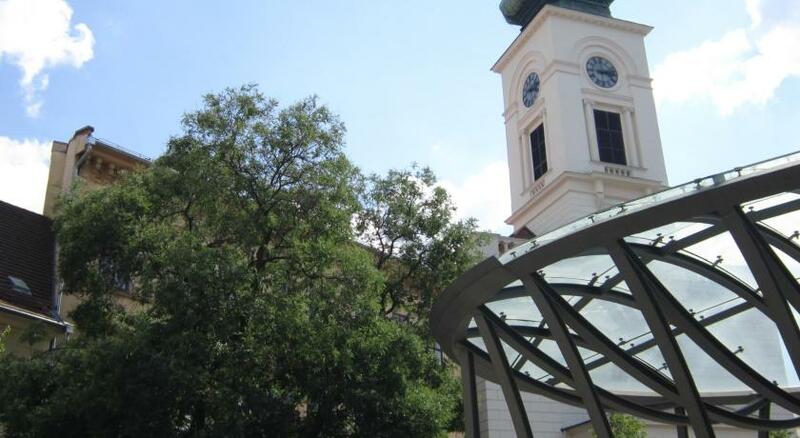 The location of this hotel was perfect, just a short walk away from the Danube tours. 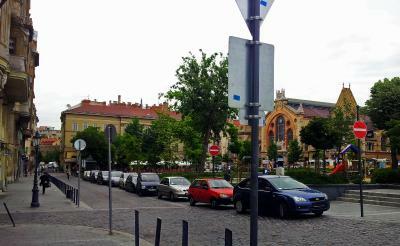 Steps away from souvenir shops, an array of restaurants, bus tours drop off/pick up points are just meters away! Take a taxi from the main train station, you can walk but as a first timer it might be a long walk more than 2kilometers. The location is terrific. 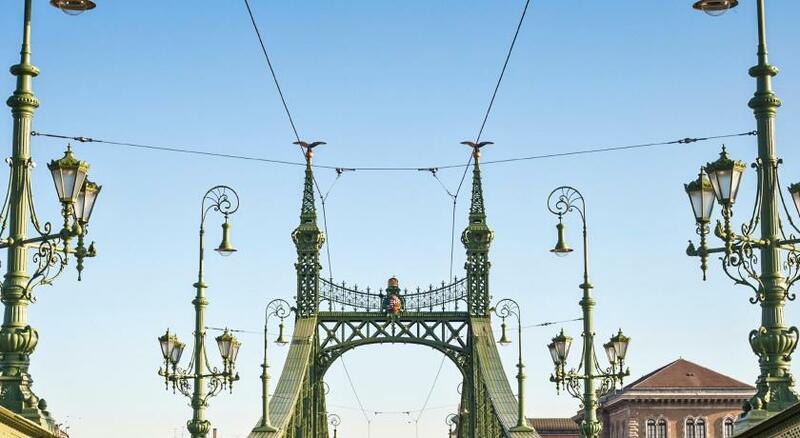 Close to the large market, the metro, tram and bus lines and the Liberty Bridge. The staff was great and very helpful. The breakfast was good and included in the rate - lots of variety and included hot items too. The hotel and our room were very clean. Overall it was a good value. 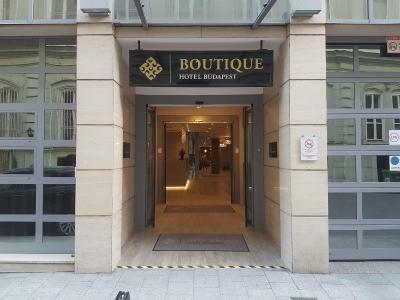 Boutique Hotel Budapest This rating is a reflection of how the property compares to the industry standard when it comes to price, facilities and services available. It's based on a self-evaluation by the property. Use this rating to help choose your stay! 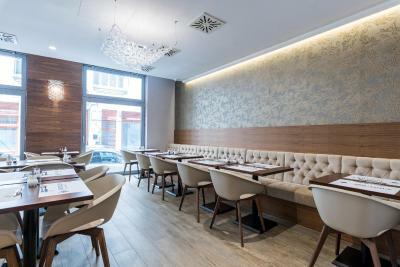 The stylish Boutique Hotel Budapest is located right in the center of Budapest, on the famous Váci street, just a few steps from the Danube. Free Wi-Fi is available in the entire hotel. 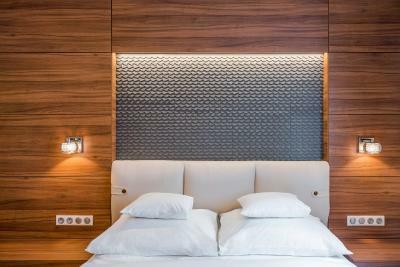 Each room features a minimalist, modern style. 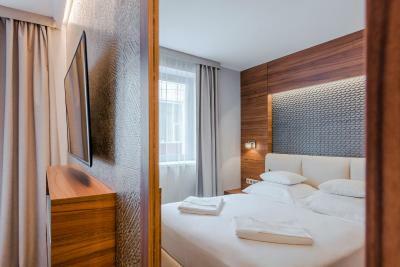 The rooms are furnished with hardwood floors and offer a flat-screen TV, laptop-sized safes and air conditioning. 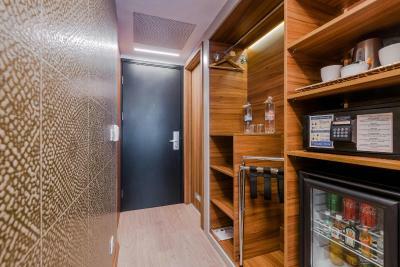 Free tea and coffee facilities are available in all rooms. 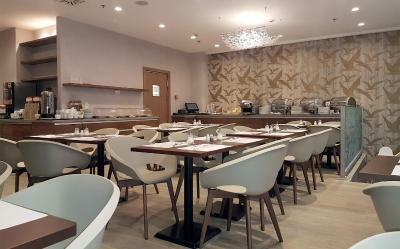 Araz Bistro serves hot and cold buffet breakfast every morning and Mediterranean cuisine for lunch and dinner. 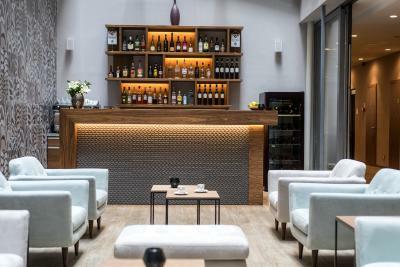 Open 24 hours a day, the Atrium Bar is equipped with flat-screen TVs and serves a wide selection of cocktails and drinks. 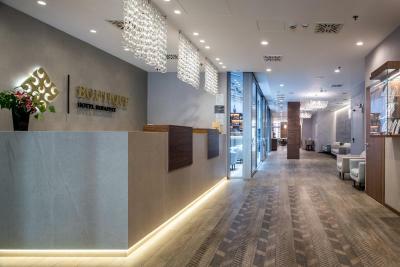 The Boutique Hotel is located steps away from the Danube river cruises' arrival and departure point. 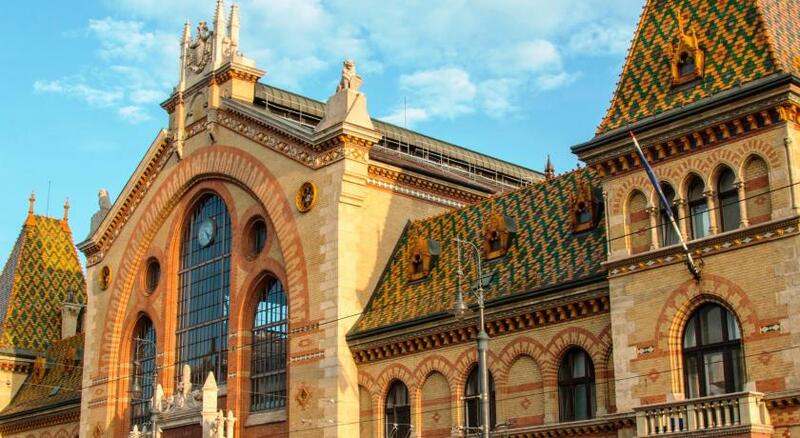 Located in the pedestrianized shopping area, many of Budapest's most famous sights are within easy walking distance from the Boutique Hotel Budapest. 05. 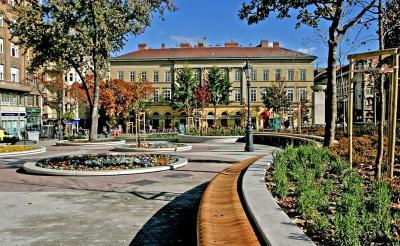 Belváros - Lipótváros is a great choice for travelers interested in culture, food and history. 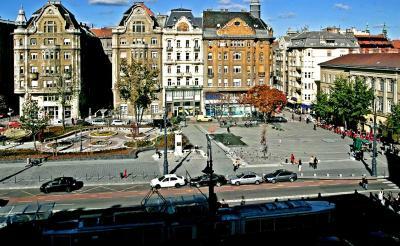 When would you like to stay at Boutique Hotel Budapest? 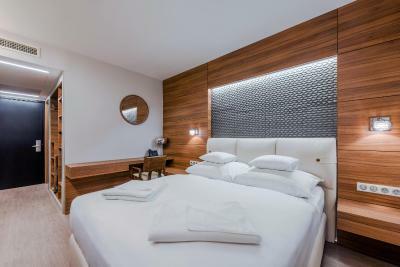 This room is decorated with contemporary furnishings and features free Wi-Fi and an LCD TV with satellite and cable channels. 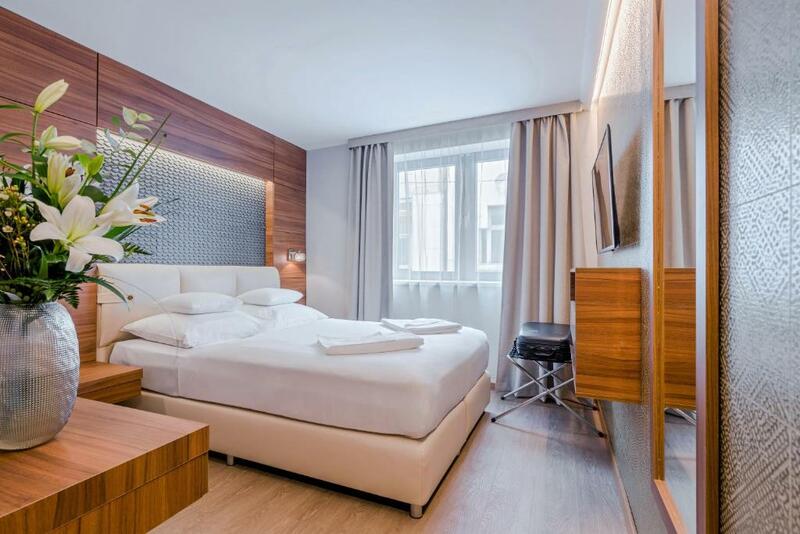 This double room features a satellite TV, air conditioning and mini-bar. 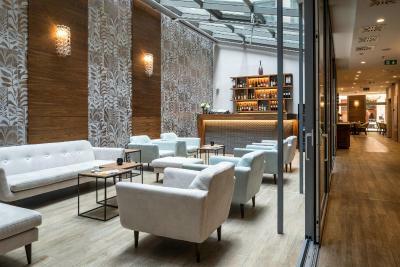 Boutique Hotel is probably the best design hotel in Budapest, the only European capital city with thermal springs and spas. 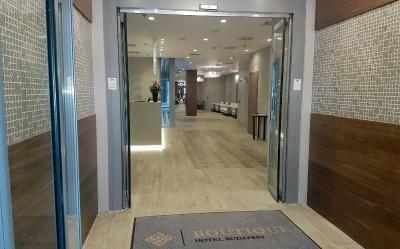 The hotel is located in the heart of Budapest, a few meters from Váci utca, in the midst of the city's best bars, restaurants, most exclusive shops, a few steps from the Central Market Hall, Gellért Thermal Bath and the Danube Cruise Terminal. 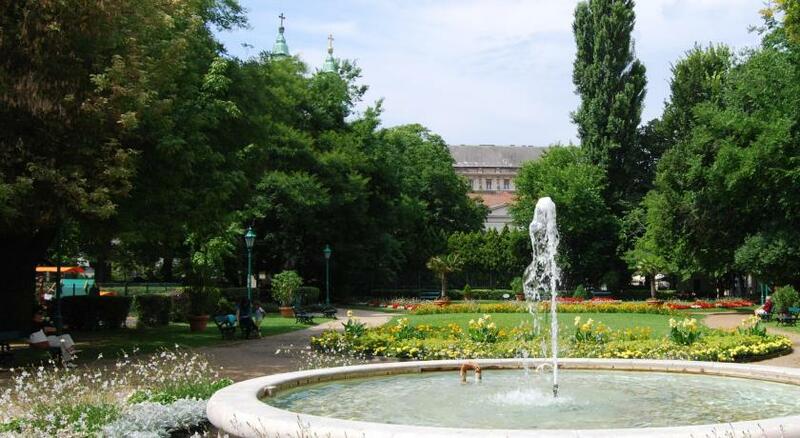 Hotel surroundings – This neighborhood is a great choice for travelers interested in culture, food and history – Check location Excellent location – show map Guests loved walking around the neighborhood! 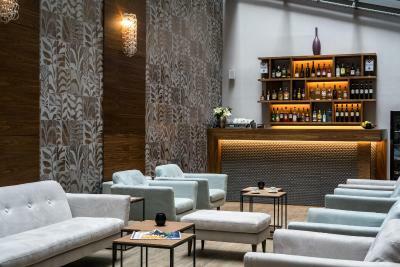 House Rules Boutique Hotel Budapest takes special requests – add in the next step! 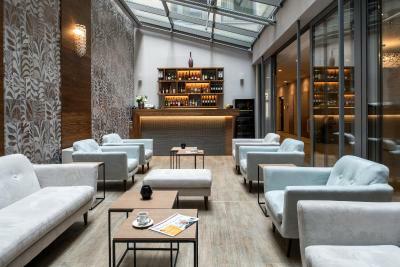 Boutique Hotel Budapest accepts these cards and reserves the right to temporarily hold an amount prior to arrival. A weight restriction of 2000 kilograms applies per vehicle to enter the garage. 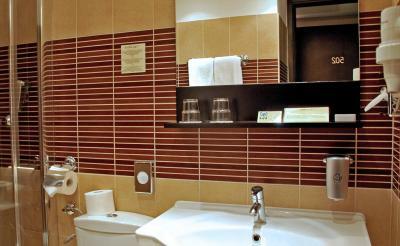 As a 4 star boutique hotel, I was expecting the furniture, specially the beds to be better. The shower door had one handle broken. The location of the hotel was pretty nice, as well as the staff. All were very kind and willing to help. The executive room is not big enough. Very close to the central market and a late check-out time. 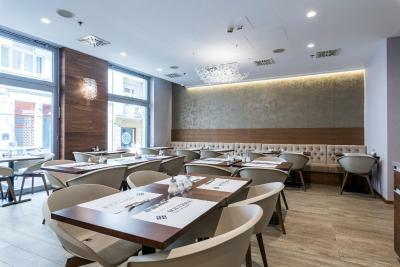 Good location,close to vaci utca popular shoping street.Perfect breakfast. The breakfast was good, but the same thing over a period of 4 days got boring. 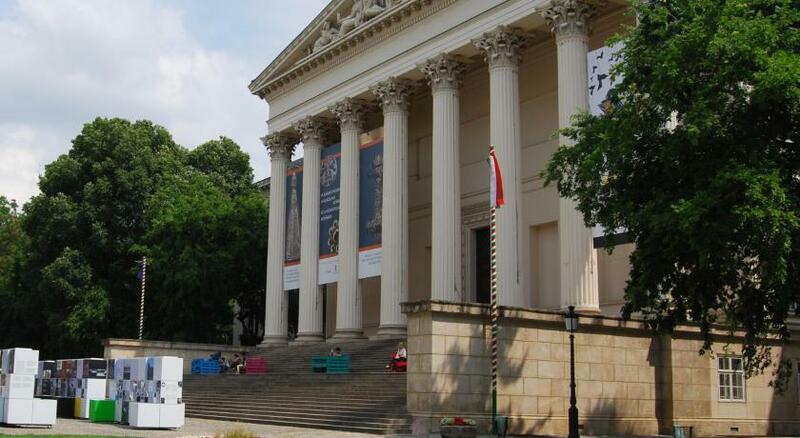 The location was great, the main tourist places were like 5 mins walk from the hotel. 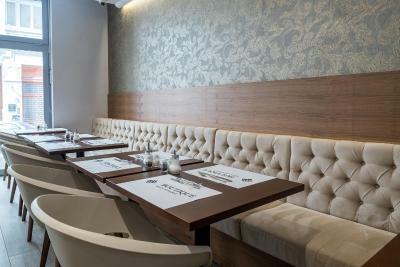 delicious breakfast with variety in salty and sweet dishes, convenient location, courteous staff! The breakfast was good but it was the same every single day I stayed there for 9 days. On the 3rd day I was bored of eating the same food. I was given a room which was very comfortable and clean but there was very little sun light coming in through the window and I was on the 6th floor. Actually I don’t remember the sun entering my room. The room facing the internal courtyard. Considering that I stayed there for 9 days they could have offered me a more sunny room. 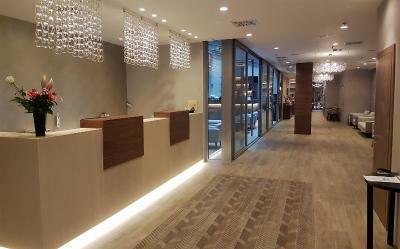 I did not bother to ask them to change room I pre paid all via Booking.com but at the arrival I was asked to pay a small city tax. I thought I had paid all in advance but apparently it was not the case. After my early flight I was tired to check in my account of what I had paid already so I was a bit confused. So check in your account before arrival so you know if there is still a small difference to pay. 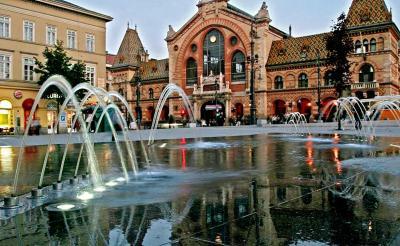 When I returned home I checked and they were correct, apparently in Budapest they cannot charge city tax in advance if you don’t arrive. That’s my understanding. However it was a small amount so no problems. will not order this hotel more. The beds in the hotel were very narrow. The breakfast was not as expected. Dry/old cut vegetables, rather untasty juices and weak coffee, but they have croissants and hot breakfast as well! Rude staff. Very loud cleaners at morning. Paper thin walls. Barely slept. Mediocre breakfast.